This week’s St. Charles Humane Society’s showcase pet is Alley. 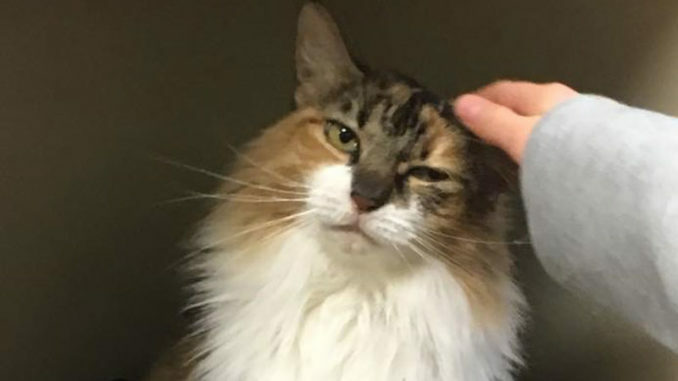 “Alley is a fluffy, sweet calico who needs a home of her own. Alley will melt your heart with her pretty green eyes and she is a cuddly sweetheart. Adult cat adoptions in February are $50, please stop in and see Alley she will be waiting, ” said Jackie Boudreaux, president of the Humane Society. The shelter is at 921 Rue Cannes in Luling. It is open Monday – Friday and on Saturdays 8 a.m. – noon. Save a Life. Adopt a Pet.